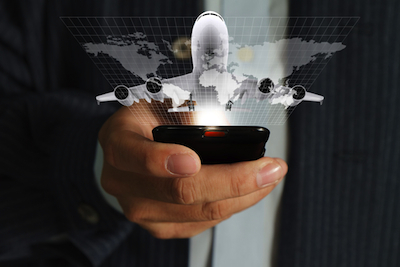 Airlines are experimenting with mobile marketing strategies to engage and connect with their customer base. The State of Airline Marketing 2014 report published by SimpliFlying and airlinetrends.com identifies seven trends that airlines are exploring to increase brand preference and customer engagement. 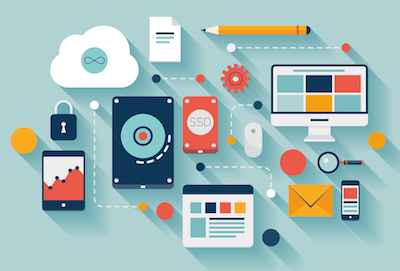 It’s not surprising that the tactical execution of these trends rely heavily on the connectivity of mobile marketing using social media networks and mobile devices (smart phones & tablets) combined with promotion. Some of the trends mentioned have merit. Others could be considered annoying in a confined space. One thing for sure is that airlines are beginning to understand the connected traveler and are looking for innovative ways to create brand loyalty. 1. Micro events – Organized onboard events, ranging from mid-air fashion shows to golf putting challenges and product giveaways. Airlines leading the way include Virgin America, JetBlue, Southwest Airlines, and Air New Zealand. Check out the Air New Zealand putting challenge event video. 2. Cool tech – Airlines that embrace their inner geek are sponsoring hackathons to dream up new travel apps for your mobile devices. Emirates Airline sponsored a 24-hour travel hackathon and is forming a technology and creative community to keep up with mobile marketing technologies and to co-create travel apps. 3. Visual culture – Tapping into the ability of our mobile devices to capture, enhance, and share visual content on social media channels, airlines are encouraging the ultimate “selfie.” Turkish Airlines YouTube channel racked up over 135 million views in a single month for their “Kobe vs Messi Selfie Shootout” video. 4. People Power – Airlines are attracted to the size and power of social networks like Facebook and Twitter. Several have offered special rates on airfares outside of traditional distribution venues on platforms like Groupon. This is a form of “Crowd Clout,” where airlines have the ability to create customer frenzies with the offer of deep discounts and viral sharing using mobile devices. 5. Emerging markets – Creating travel stories using emotional connections, airlines are promoting destinations and international travel to and from emerging countries. These include the “BRIC”s (Brazil, Russia, India and China) and the “Next-11” (including South Africa, Vietnam, Indonesia, South Korea, Turkey and Mexico). British Airways is promoting their North American flights to India with “A Mother’s Wish” web posting. 6. Innovation is the marketing – This is a low cost entry approach into product and service marketing. Examples include wireless chargers found in customer lounges, RFID tags that let you track your luggage, and “meet and seat” experiments that let you check out your seat mates’ social profile before selecting a seat. 7. Outdoor creativity – Unconventional advertising in the form of digital billboards, kiosks, and point of sale floor graphics. British Airways #lookup billboard in Piccadilly Circus was wired to detect BA flights flying below the clouds and would display the flight number and destination along with a URL flight booking and price. Dynamic customers require quality content. How emerging technologies will impact the differentiated brand. There has been a seismic explosion in the channels and tools marketers are using to influence purchasing decisions. If you feel a little out of touch with the whole marketing ecosystem today, don’t feel alone. There has been a seismic explosion in the channels and tools marketers are using to influence purchasing decisions. Now, effective marketing is a mash-up of traditional B-to-B and digital P-to-P strategies with tactical execution determined by company size and where the buyer to be reached spends the most time. Content everywhere but what do buyers find most useful? Content can take many forms. Eccolo Media, in collaboration with market-research firm Global Marketing Insite (GMI), with recently published the Eccolo Media 2014 B2B Technology Content Survey Report identifying categories for marketing collateral and what technology buyers in small, medium, and large companies consume when making considered purchase decisions. Relevant and high quality content plays a critical role in the purchasing decision. Marketers that understand this have the opportunity to engage, connect, and influence buyers throughout the purchasing process. 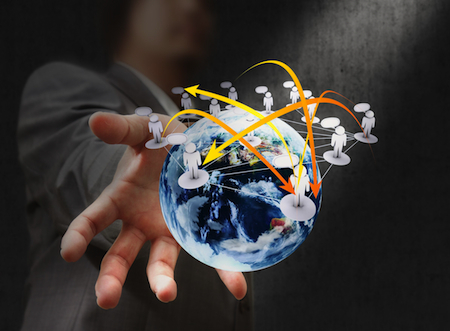 Social networks are prime territory for distributing content. Determining which social platform to concentrate on for content distribution can be influenced by the size of the company you are trying to reach. Small and mid-size companies lean more toward Facebook, while larger companies consume more content from LinkedIn. Twitter is also a viable network for reaching influencers and purchasers. Click-through rates from vendor posts are increasing because the short burst of information is usually accompanied by a link to a larger content library. Blogs are also influential in the pre-sale phase to identify problems, bringing them to the surface for consideration. One thing to remember is that with so much content available, buyers are becoming more selective in deciding which content is worthy of their time. Because buyers choose the time and place for receiving marketing content, formatting for desktop, tablet, and smart phone enhances the buyer’s experience. Analytics review can help sharpen brand messaging and identify your best prospects. Email marketing can be a quick and efficient way to deliver your inbound marketing content to select groups and prospects. However, many times marketers do not fully review the email analytics to understand viewer email habits, engagement with content, and how the success of the inbound marketing efforts is affected. Recently I reviewed the email analytics for my newsletter, Strategic Air Marketing. The objective was to identify best prospects for personal outreach, in this case, recipients that have consistently opened and were actively sharing the newsletter content with their social media network. To make large lists manageable, it is best to segment them into manageable sizes. I use annual revenue of the company and location by U.S. time zone. In addition, the newsletter is flighted by time of day and day of the week for delivery. I do this to gauge the acceptance of the content and whether I need to change an article based on open rates and click through. Comparisons of newsletter mailing cycles reveal that it takes some time for recipients to become comfortable seeing your content, and that readership increases over multiple impressions. Average response rates for the time zone lists were 10-12% open rate and 15% for social sharing. Compare this to the traditional direct mail response rate of 1-3% or banner ad response of less than .005%, and you get a good idea why your email box is always overflowing. For example, the east coast time zone list numbers between 700-800 recipients. Using the above criteria identified, 29% of the list members fell into the best prospect list. Content was delivered to the best prospect list, resulting in a 30% open rate, 22% Facebook likes, 50% Twitter shares and 51% LinkedIn shares. Continued emailing to additional best prospect lists across different time zones has mirrored the above results. Companies that invest the necessary time and resources toward inbound marketing are reaping the benefits of identifying and engaging with new business prospects. I counsel those companies that hold a negative view of these efforts to take a closer look at the benefits of inbound marketing and integrate these tactics into their existing marketing efforts. 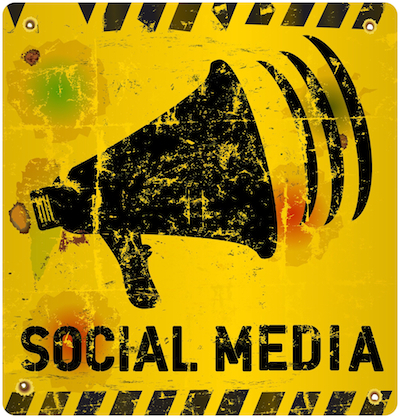 Social media: Media channel or purchasing influence? In the early days of social media it was hailed as the replacement for advertising. The interruption model of advertising was so twentieth century and the permission model of social media was the darling of the new millennium. Brands that were early adopters were especially excited because they viewed social media as a non-commercial marketing channel. Instead of renting space in magazines or commercial time on broadcast networks, social media offered the hope of connecting with purchasers on a one-to-one basis for less cost. Brands flocked to Facebook populating their pages with helpful hints, events and special deals for those who “Like” their brand. As social media platforms matured, it became apparent that in order to sustain their business they needed a monetization model to pay the bills. Google figured this out early. Ad Words (the purchase of key word search terms) made Google extremely profitable and allowed the search engine to continue to provide a free service. Social media platforms such as Facebook, Twitter and LinkedIn had lots of users but struggled with developing a monetization model. The one thing they did have were copious amounts of data about their users. 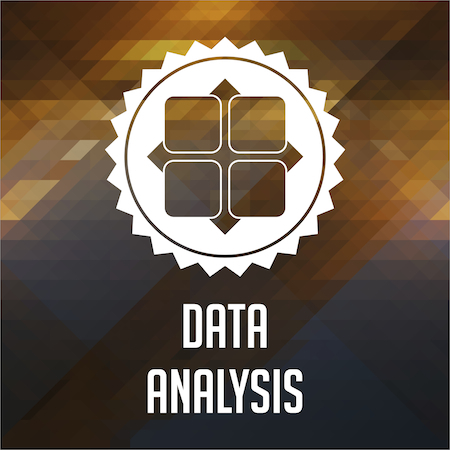 Access to this data was attractive to the advertising community. It held the promise of being able to target advertising to an individual user based on their profile, interest and browsing habits. As the social media platforms grew the sheer number of users dictated that brands develop a social media strategy instead of just maintaining a presence. Now the social media platforms had a monetization model leveraging their vast proprietary database. Brands could better target their advertising based on the users profile. Digital analytics provided a rear looking ROI measurement. So what began as a non-commercial peer-to-peer network is transforming into a branded media channel. The premise of social media is word-of-mouth advertising. Brands understand that a negative comment or a positive review can affect brand perception ultimately influencing the purchasing decision. Many brands have adopted social media as an inbound marketing channel. Airlines producing their pre-departure safety videos to become branded forms of communication. Firms like GE have dedicated social media pages about locomotive and jet engine engineering and production. Dell computer uses social media to answer customer questions and solve technical problems. All of these strategies have one thing in a common – to connect, engage and influence the purchasing decision. Hashtags provide short cut links to events, people and businesses. Lynne Serafinn, author of “The 7 Graces of Marketing: how to heal humanity and the planet by changing the way we sell,” wrote an article on how and when to use hashtags on Twitter and Facebook. Below is my interpretation for aviation marketers. The aviation industry is slowly coming around to using social marketing as an inbound channel to build brand loyalty, provide customer service and convert new customers. While some in the aviation industry are still wishing that social media would go away, the facts state undeniably that it is here to stay. Twitter and Facebook have over 1.5 billion users on their social media platforms. Twitter has pioneered the use of hashtags and Facebook recently adopted hashtag linking protocol. What are hashtags? What do they mean? How do you use them? Why should I care? 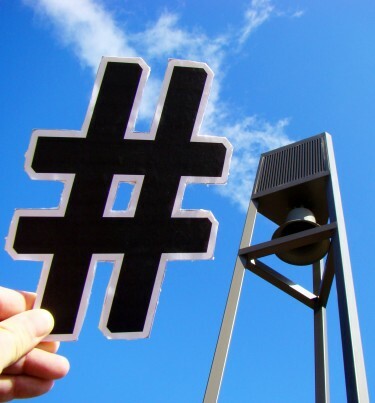 A hashtag is a word or term that is preceded by a ‘hash sign’, i.e. #. There can be no spaces between the hashtag and the word/term, and there can be no spaces in between words if you are using a term. Hashtags are not case sensitive; however, using upper and lower case can make them easier for your followers to read and identify. When you put together a tag like this, #aviationmkting, it automatically creates a hyperlink that people can click. When they click on the hyperlink, they will find all the most recent Tweets or Facebook posts that have used that hashtag. Basically, putting a # sign in front of anything will turn it into a clickable link. Follow current trends – Perhaps the most common use of hashtags is to follow information about a current story or event. For example, clicking on the link #Asiana will bring you to tweets and article posts about the airline incident and the summer intern’s short-lived job at the NTSB. Find like-minded people – Hashtags can not only help you find topics of interest, but people of interest too. While some hashtags are on ‘trending’ topics, others are on long-term topics of interest. Using #aviationweek will display a range of the top 20 tweets of people that are using the hashtag in connection with their content or business. Brand identity/content – Not all hashtags are about ‘things’ or events. If your product or service relates to the aviation industry, you should consider creating a hashtag that identifies your brand. Boeing has branded the hashtag #boeing where you can view their tweets as well as photos and other content about Boeing aircraft. Hashtags provide shortcut links to events, people, and businesses. Learning the correct way to use them improves your social marketing presence and increases brand awareness.